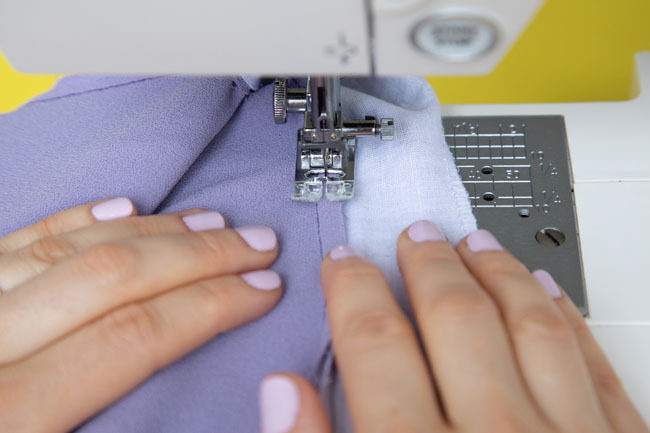 Before you start understitching, trim the seam allowances, cutting those on the facing or lining a bit narrower than the garment seam allowances. This way, the narrower facing or lining seam allowances will be sandwiched together between the other (wider) layers, and therefore are less likely to bunch up as the project is going under the presser foot, avoiding bulky seams. This may seem like a pedantic tip, but I find it creates a neater result. Sometimes it’s the little things that make all the difference! 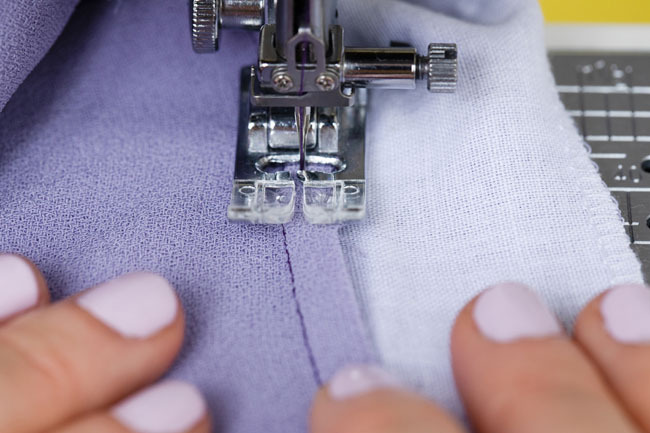 Another key to sensational seams is to, as you’re understitching, keep the fabric pulled away from the seam joining the facing or lining to the garment. As the project is going under the presser foot, use your fingers to keep the fabric pulled taut away from the seam and lying nice and flat. 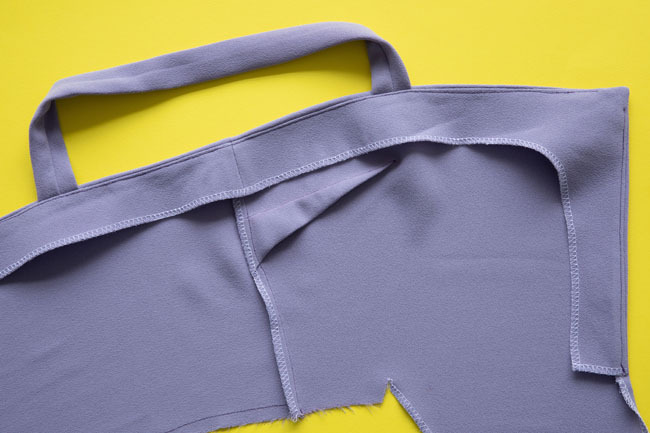 In our pattern instructions, I usually show a photo of understitching with the wrong side of the garment facing up so you can see which bits I’m sewing – but you may find it easier to sew with the right side up so you can ensure the garment fabric is pulled flat away from seam. Whether you need to press before understitching is up for debate. I always remember my teacher on the London College of Fashion professional sewing course saying not to press first as the understitching does the job of neatening the seam up. 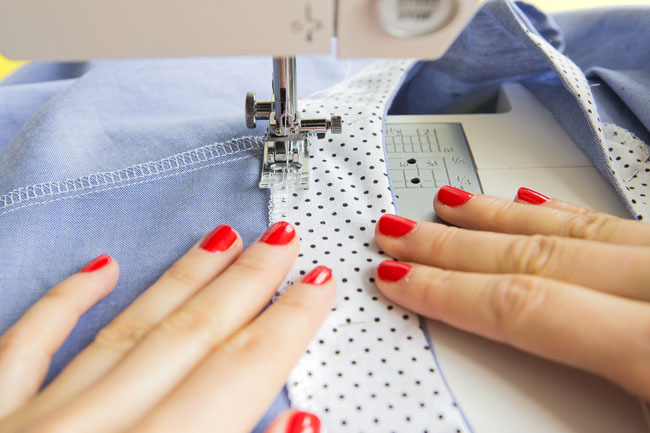 As a home sewist, you’ll be sewing at a more leisurely pace than industry though, so you may want to press to be on the safe side. 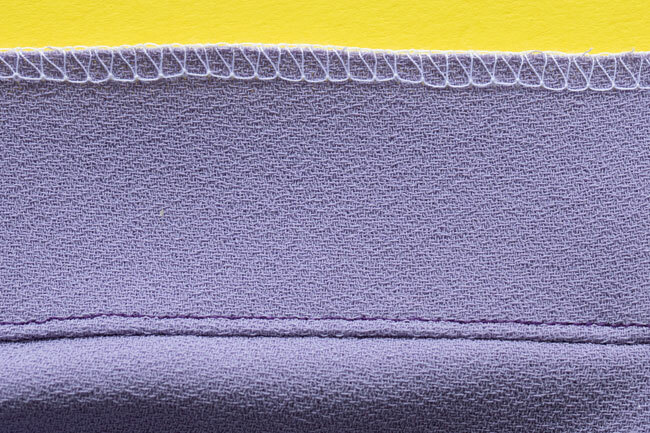 Your understitching will look proper profesh if you can keep it at an even distance from the seam line. Confession time – this is definitely a step I rush if I’m tired or making a project to a deadline. 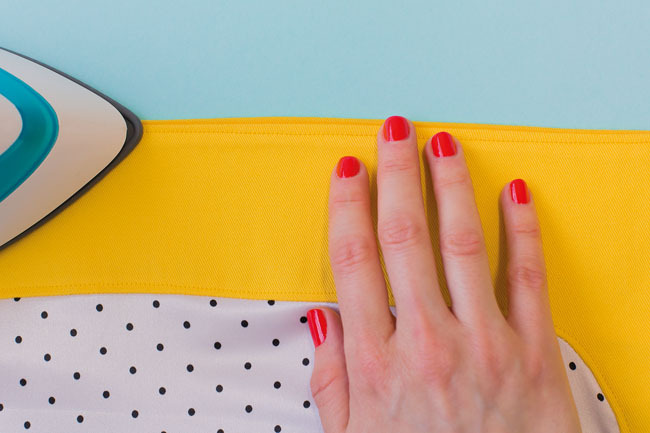 After all, it goes on the inside of your garment so no one else is going to see it. But when I’m after a super duper finish, I will make the effort to keep my understitching neat. There are a couple of ways you could approach this. The first method is to measure 2-3mm (1/16-1/8in) away from the needle on your presser foot. There’s often a ridge that you can use as a guide. 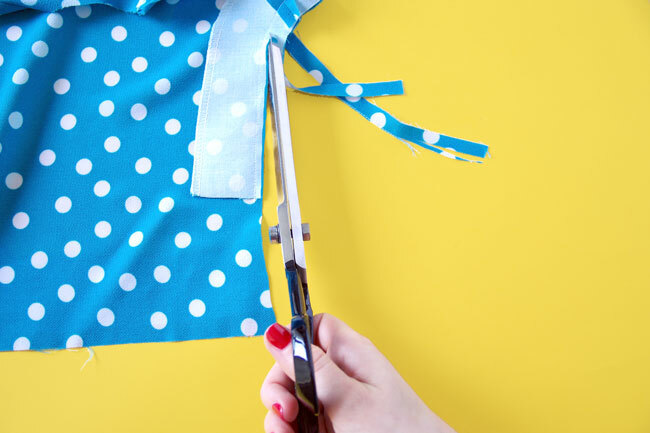 Line up the seam with this point, and keep it there as you sew. Alternatively, if your sewing machine allows you to shift the needle to one side, line up the seam with the centre of your presser foot and move the needle 2-3mm (1/16-1/8in) towards the seam allowances. 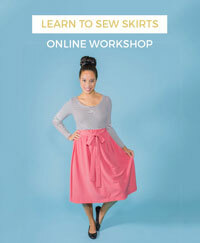 Whichever way you do it, take your time to keep everything lined up as you sew. If you’re understitching a round neckline, you’ll be able to stitch all the way round until you come full circle. 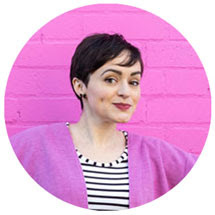 However if you’re sewing something like the Seren dress where the facing has a corner (as the button stand facing is grown onto the neckline facing), you won’t be able to get your needle right into the corner. And that’s fine – just get as far as you can and back tack, then start again the other side of the corner. The understitching will still do a good job of holding the facing or lining in place. You’ll get further if you sew towards and into corners, rather than out of them, before the presser foot gets in the way. So start where your presser foot fits and, once you’ve finished a line of understitching, if you want to extend the start of it you can stop sewing, turn the project around and sew from just before the start of the stitching into the corner, overlapping the stitches to lock them in place. And finally, when don’t you need to understitch? If you’re topstitching the facing to the garment anyway, you don’t necessarily have to understitch if the fabric presses well and you don’t think the facing will pop out. If, however, the fabric doesn’t press that well after you turn the facing to the inside, I would probably understitch anyway, so it doesn’t balloon out unexpectedly. Also, if you’re a beginner and aren’t confident sewing at a close and even distance from seam, don’t worry about understitching at all. 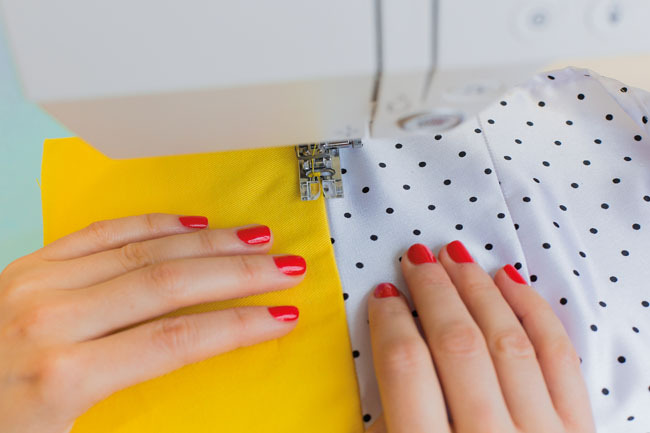 It can be a fiddly step if you’re not adept with a sewing machine – in fact, I often omit it from instructions aimed at beginners (the Bettine dress, for example) for this very reason. When I made my first dress at a sewing class, I remember feeling a bit overwhelmed when the teaching assistant told me to understitch the neckline. Luckily the more experienced teacher intervened, reminding her that I’d only just learnt to use a sewing machine! I certainly sighed with relief at being given a free pass to omit this step. So those are my tips! 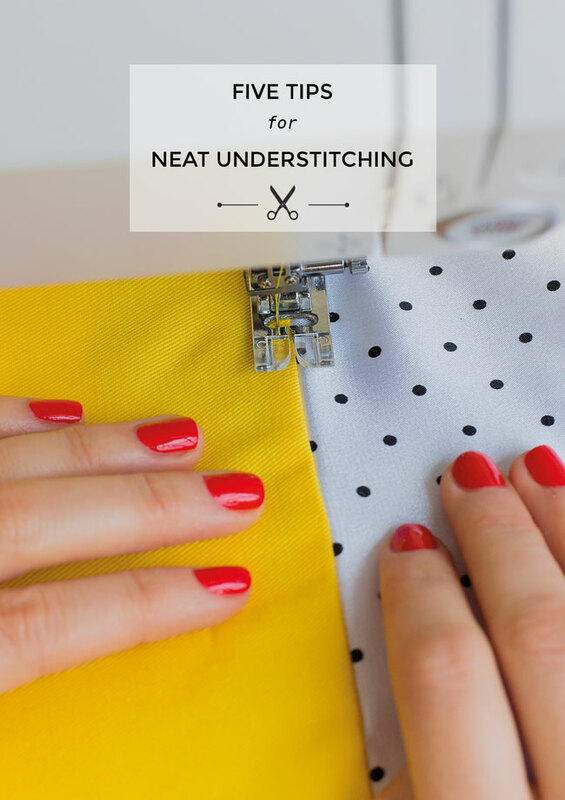 If you have a tip of your own about understitching, please feel free to share in the comments – there’s always more to learn! PS. If you liked this post, you may also like Tips for Accurate Sewing and Tips for Cutting and Sewing Slippery Fabric.